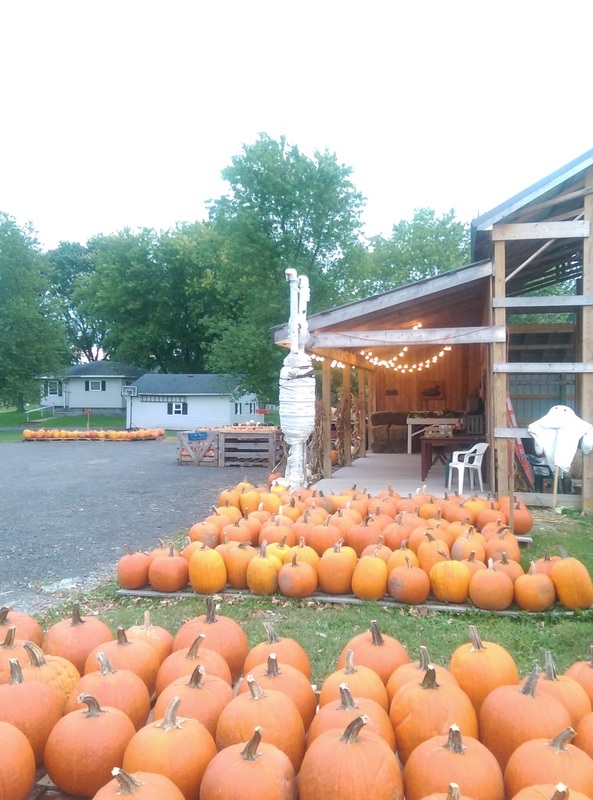 Skeeterboro Farms, located on Route 233 in Rome, began as a family farm by Floyd (“Rex”) Mazur in Oriskany at the intersection of Cider Street and Judd Road, long ago referred to as the town of Skeeterboro. Floyd raised horses, cattle, pigs, ducks and chickens and grew grain for his animals. He passed the tradition down to his son, Terry, who instilled the interest in his three sons. Now two generations later, Floyd’s three grandsons, Rex, Cole and Luke have established an LLC to carry on the family legacy. Today, Skeeterboro Farms specializes in sweet corn and pumpkins, as well as several other vegetables including tomatoes, peppers, cucumbers, summer squash, winter squash and other specialties each growing season.